CARGO Cosmetics Mini Lip Gloss: It's got a nice formula, but the color's not really for me. Eva NYC Up All Night Volumizing Spray: I'm always on the lookout for ways to help my hair, and I'm super eager to try this one out! Hey Honey Take It Off! Exfoliating Honey Peel Off Mask: I haven't tried this yet, but I can't wait to. I'm a huge fan of masks. ModelCo BLUSH Cheek Powder: LOVE this. 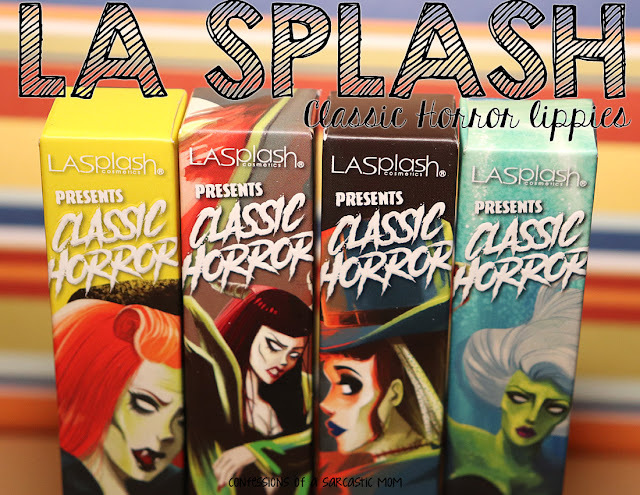 The color is perfect for me, and it's soft and easy to apply. 'Tini Beauty Rob Scheppy for 'Tini Beauty Eyeshadow: I'm a fan of neutral shadows, and this one is no exception. As you can see, I'm pretty excited about this bag. 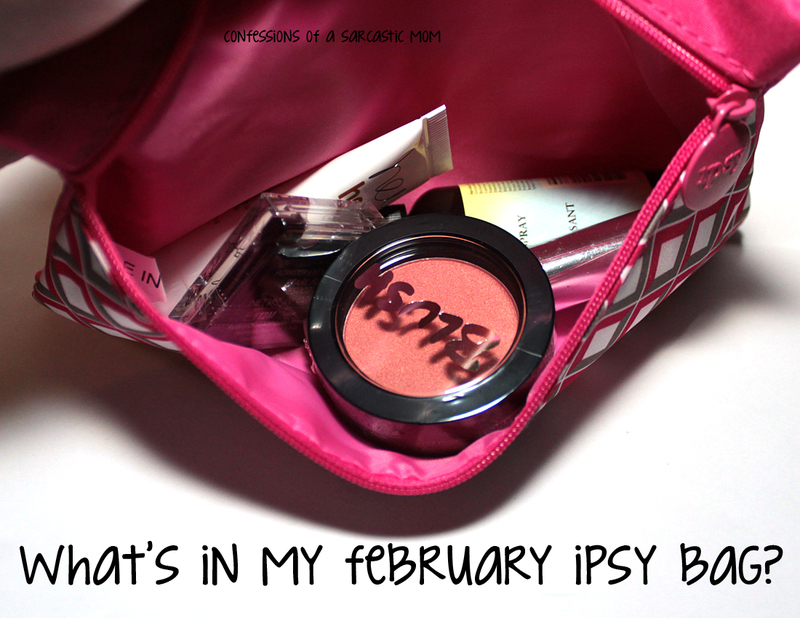 That's the thing with ipsy - sometimes it's a bag full of the most amazing things, and stuff you can't wait to try, and the next time you'll get a bag you're not too keen on. But it works out! 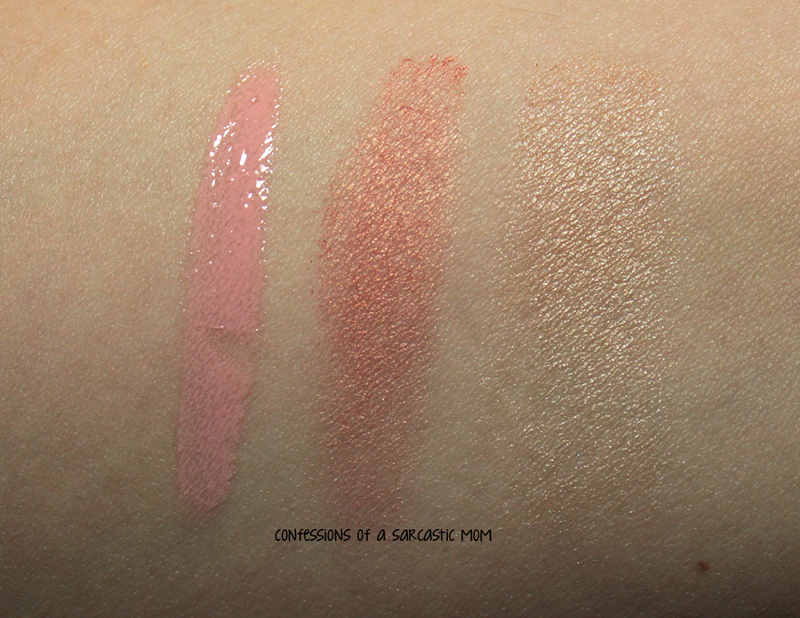 Below are swatches of the lip gloss, blush and eye shadow on my arm.